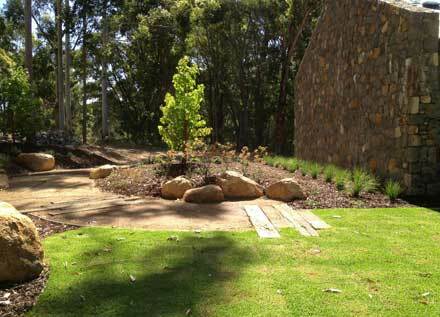 If you are looking for a Dunsborough Landscaper, we offer landscaping services. Landscaping is any activity that modifies the visible features of an area of land. It is both a science and art and requires good observation and design skills. Landscaping involves the art and craft of growing plants with a goal of creating a beautiful environment. It also involves terrain shapes and elevation and bodies of water. Dunsborough Landscapes is experienced in the South West region and can offer expert advice on the best flora and fauna for your new garden. One of the chief essentials in landscaping involves understanding a particular site. We are able to determine the topography, terrain, prevailing winds, the quality of the soil as well as the flora and the fauna of the specific area to be landscaped. At times, the land may not be suitable for landscaping, and in such a case, the land must be reshaped. There are numerous benefits associated with landscaping. If you are selling your home, it makes your home more appealing to potential buyers, it decreases the duration the property is available on the market as well as increasing the value of your home. Landscaping also has some environmental advantages, such as it helps to reduce storm water; it controls temperature extremes, helps to control erosion and reduces soil degradation. Landscaping your property also allows you to make better use of the land. A raised bed can provide an area for growing vegetables or planting flowers to improve the look of the home. I would like to say a very big "Thank You" for turning a very boring, useless space of garden into a beautiful, tranquil remembrance garden in honour of my Mum who passed away a couple of years ago – this is now affectionately known as "Sylvia's Garden" – and it was very thoughtful of you to plant grevilleas called "Sylvia"!